As an injured person, you are looking for help and answers. Something that should not have happened did - either in the form of a trucking accident, serious automobile collision, medical malpractice, poor health care, product defect, or some other mishap that wasn't your fault - and you want to make sure it does not happen to someone else. You want the corporations to change their way and you want the insurance companies to handle your claim fairly. You are not looking for a handout or a lottery ticket, but only for that which is right and just - to hold the person or corporation accountable for this life altering event that you had no hand in causing. If you want an experienced, dedicated lawyer with a passion for seeking truth and, ultimately, justice for her clients, attorney Gretchen Myers is just such a person. She has built a lifelong reputation for her dedicated persistence in pursuit of justice, her fierce maintenance of integrity under all circumstances, her exhaustive investigative search for the truth and her individualistic approach to every case she handles. At The Law Offices of Gretchen Myers, P.C., you are our top priority. Gretchen has the unique distinction of being recognized by both the Missouri Bar and the University of Missouri -Columbia (her alma mater) for her excellence in trial advocacy. She wins cases. The trial lawyers in Missouri unanimously voted for Gretchen to be the first woman in the state to head their organization and fight for your rights in the legislature. Gretchen is also a member of the Multi-Million Dollar Advocates Forum (limited to fewer than 1% of all U.S. lawyers - only those who have won multi-million dollar verdicts and settlements), was selected by her peers as one of The Best Lawyers in America, has been selected as a "Super Lawyer" (the top 5% of all lawyers in Missouri and Kansas) and Martindale-Hubbell has bestowed her with the highest possible rating - an AV peer review ranking. As an injured person, you deserve an experienced trial lawyer who practices serious personal injury law as a cause and not a business. If you have been injured in a truck accident, have been the victim of poor health care, have lost your loved one in a wrongful death, or been catastrophically injured due to the negligence of another person, call The Law Offices of Gretchen Myers, P.C. at (314) 621-5454 to schedule your free initial consultation. Or, you can Contact The Law Offices of Gretchen Myers, P.C. and someone will be in touch with you within 24 hours. We accept all cases on a contingency fee basis, and do not charge a fee unless we reach a favorable settlement or obtain a jury award on your behalf. Located in St. Louis County - One and one half blocks south of the Clayton Courthouse and across the street from the Metrolink. Free and accessible parking - Home and hospital visits available. An Experienced Trial Attorney on Your Side So often, serious injuries and wrongful death occur when something should have been done but was not. A trucker should have rested rather than pressed on without sleep. The proper diagnostic testing should have been ordered. A patient should have been monitored more closely after surgery. A corporation should have cared more about you than it did about the bottom line. As a personal injury trial attorney, Gretchen has a comprehensive understanding of the law that affects your case. Some of the most complex areas in personal injury law deal with truck accidents, hospital negligence, and medical malpractice. Each is regulated by standards. Truckers and trucking companies must adhere to federal and state trucking regulations. Doctors, surgeons, nurses and other medical professionals must adhere to a standard of care. When regulated standards are overlooked or ignored altogether, the results can be catastrophic. Innocent people can be seriously injured. A family can lose a loved one in an unexpected moment. As a trial attorney, Gretchen prepares each personal injury case as if it will go to trial. With 25 years of experience handling these cases, you may never see the courtroom with her. However, the insurance companies and corporations will know she is ready, willing and able to try your case. Gretchen will personalize your story to accurately convey what you have gone through. She seeks maximum compensation for your losses. She seeks enduring verdicts and settlements that allow you to adjust to new circumstances and obtain proper medical treatment. A Personal Injury Advocate Gretchen is an active advocate for the personal injury victim. She does not just practice law; she makes it a part of her life. She has written laws, acted as a lobbyist on behalf of the injured, testified before the Missouri House and Senate, written legal articles, talked to editorial boards and done radio and newspaper interviews. For her work Gretchen was recognized and awarded the first "Justice Award" in St. Louis. In a collision between a large truck and a car, the car and its driver will likely sustain heavy damage. Serious injury and deaths occur at alarming rates and impact far too many innocent victims and their families. When these injuries could have been prevented by adherence to traffic laws, driving rules, trucking regulations and other safety standards, injured people and surviving family members can take legal action. If you have been injured in a truck or car accident, or if you have lost a loved one in a fatal truck accident, call The Law Offices of Gretchen Myers, P.C., at (314) 621-5454 to schedule your free initial consultation. You can also e-mail us and someone from the firm will be in touch with you within 24 hours. We accept truck-car accident cases on a contingency fee basis. We do not charge a fee unless we are successful in settling your case or obtaining a jury award on your behalf. Attentive Legal Help for Truck Accident Victims Gretchen handles catastrophic injury claims as well as wrongful death claims. As an experienced trial lawyer, she prepares each case for the possibility of a trial. Working with experts, she fully investigates auto accident and truck accident claims and uncovers the negligence committed by all relevant parties. She strives to obtain a clear understanding of all elements of the accident from the cause of the accident to the impact the injury has on your life to the compensation that is necessary to help with your losses from a collision injury. As your attorney, Gretchen provides knowledgeable and attentive guidance throughout the entirety of your claim. She has a passion for justice, and believes in fighting for you. She handles truck accidents that include the following: -Underride accidents -Drunk drivers -Jackknife accidents -Speeding trucks -Rollover accidents -Accidents caused by trucking company negligence -Accidents caused by defective truck equipment or mechanical failure -Brake failures resulting in a crash -Accidents caused by overloaded trucks or unsecured loads -Accidents caused by truck driver fatigue driving hour violations, inattention or a driver not being qualified to drive a large vehicle such as an 18-wheeler -Accidents caused by regulatory noncompliance Contact The Law Offices of Gretchen Myers, P.C., at (314) 621-5454 to schedule your free initial consultation. We can immediately begin investigating your case and pursuing maximum compensation on your behalf. 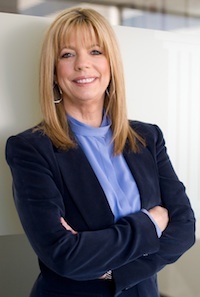 Gretchen Myers is the founding principal of The Law Offices of Gretchen Myers, P.C. in St. Louis, Missouri where she concentrates her practice in the areas of catastrophic trucking accident cases, product liability, wrongful death, medical negligence, sexual harassment and general personal injury law. She is the recipient of two top trial advocacy awards in Missouri: the Lon O. Hocker Award from the Missouri Bar and is the youngest recipient of the prestigious Honorary Order of the Barristers Award from the University of Missouri. Both awards were given for her outstanding trial work and trial excellence. She has tried cases and made numerous appearances in courts throughout Missouri and Illinois and has garnered some of the largest recoveries in Catastrophic Trucking Accidents. She is the first recipient of the "Daily Record Justice Award" given for significant contribution to her area of expertise and her positive impact on the community. She is a frequent lecturer on civil trial techniques and advocacy skills throughout Missouri and nationwide. U.S. News and World Report ranked her firm as one of the Best Firms in America and she is personally included in the Best Lawyers in America. Her results rank her in the top 1% of all lawyers based upon her inclusion in the Million and Multi-Million Dollar Advocacy group. She is past president of the Missouri Association of Trial Attorneys (the first woman to have been elected to that post) and a past President of the Women Lawyers' Association of Greater St. Louis. Gretchen is also the only woman attorney in the United States selected to serve on the Association of Plaintiff Interstate Trucking Lawyers of America (APITLA) National Advisory Board, a board whose mission is to dramatically reduce the number of traffic accidents, injuries and deaths across America that are caused by unsafe trucking companies. She is an instructor for the Missouri Judicial Trial College, selected by Missouri judges to teach them about trial techniques and civil jury instructions. She was appointed to the Missouri Civil Instructions Committee (MAl) by the Missouri Supreme Court, to be the Chair of the Tort Law Committee by the President of the Missouri Bar, and to the Regional Convention and Sports Complex Authority by Governor Mel Carnahan. She is a member of The Missouri Association of Trial Attorneys, The Lawyers Association of St. Louis, The Bar Association of Metropolitan St. Louis, The Women Lawyers' Association of Greater St. Louis, The National Employment Lawyers Association, The American Association for Justice, the Statewide Legal Services Board and Public Justice. Gretchen is licensed to practice law in three states: Missouri, Illinois and California. Gretchen Myers graduated from the University of Missouri Columbia with a BA in Honors Economics and Political Science in 1981 and JD degree in 1984. She was a member of the Missouri Law Review and upon completion of law school was awarded a clerkship with the Honorable James H. Meredith, United States Federal District Judge for the Eastern District of Missouri. Throughout her legal career Gretchen has always been a trial attorney, and has exclusively represented people in need and dedicated her practice to protecting injury victims and their families with a passion for justice. Gretchen has a passion for justice; she is an attorney who believes in fighting for you. Her heroes and inspirations are trial attorneys people who stand up for people when they lack the resources to do so on their own. If you have been injured by another person's negligence, or if you have lost your loved one, an experienced lawyer can help. The Law Offices of Gretchen Myers, P.C. is here to guide you through the complexities of a personal injury claim, prepare for a potential trial and obtain maximum compensation for your losses. Contact the firm to arrange your free initial consultation.